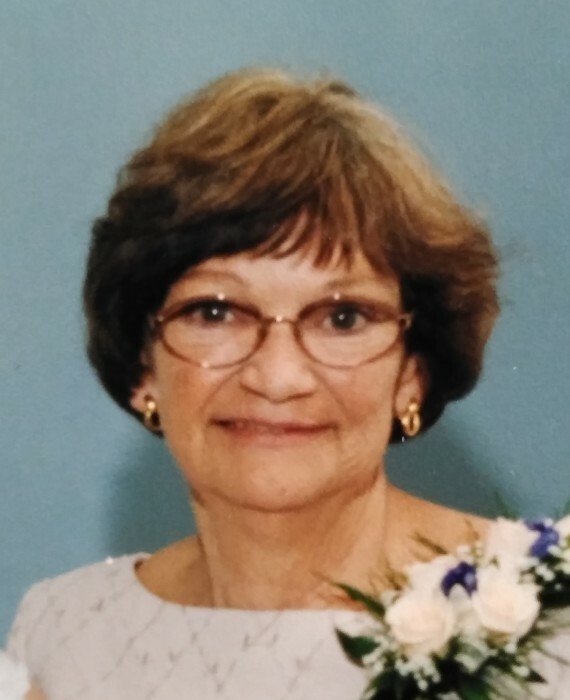 CHICOPEE- Mary K. (Morris) Sullivan, 77, of Chicopee, departed this world on Saturday, April 13, 2019 surrounded by her loving family. She was born in Holyoke on November 27, 1941, a daughter of the late Franklin and Anna (Mahoney) Morris. She was educated in Holyoke and received an Associate’s Degree from Holyoke Junior College. She worked for several years as a customer service representative, eventually retiring from Health New England, but was most proud of her position as mother and grandmother. Mary enjoyed reading, going for walks, family trips to the beach, and traveling to destinations such as the Grand Canyon, Alaska, and Ireland. In addition to her parents, Mary was predeceased by her brother-in-law Clement Messier. She will be missed by her children, William Sullivan and wife Sara of Potomac, MD; Tricia (Sullivan) Stallman and husband Paul of Chicopee, MA; Karen (Sullivan) Broughan and husband Nathan of Wells, ME; six grandchildren: Brayden, Christian and Shane Stallman, Jack, Hunter, and Julia Sullivan. She also leaves her siblings, Anne Messier; Franklin “Skip” Morris and his wife Betty, and Gretchen Morris, as well as many beloved nieces and nephews. Visiting hours will be held on Friday, April 19, 2019 from 9-11AM at Messier Funeral Home, 1944 Northampton St., Holyoke with a funeral home service at 11AM. The burial will be private in St. Jerome Cemetery, Holyoke. Donations in Mary’s name can be made to Holyoke VNA Hospice Life Care, 575 Beech St., Holyoke, MA 01040. For more details please visit www.messierfuneralhome.com.